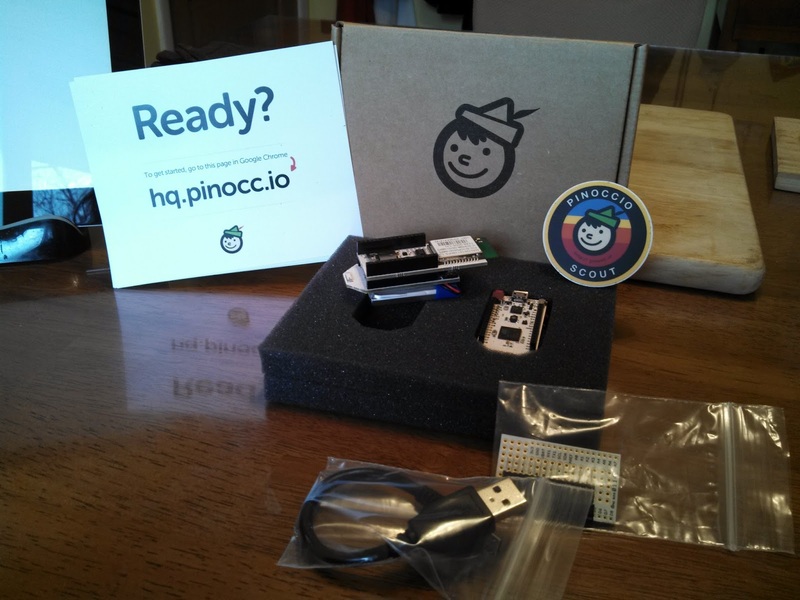 The Pinoccio I backed on indiegogo last year has arrived! 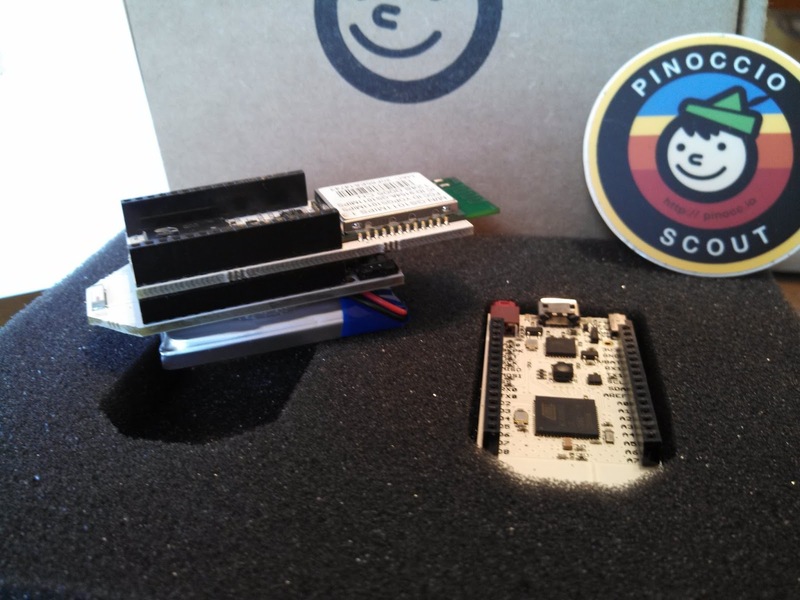 It's a cute little microcontroller (arduino compatible) with built in battery and wifi. Of course, the device took so long to arrive (it was supposed to originally ship last Summer) that I ended up doing a work around for what I had intended this little things for. So now to come up with a project! Chris suggested something with the hue lights and a button, so maybe I'll make these into tiny remotes.